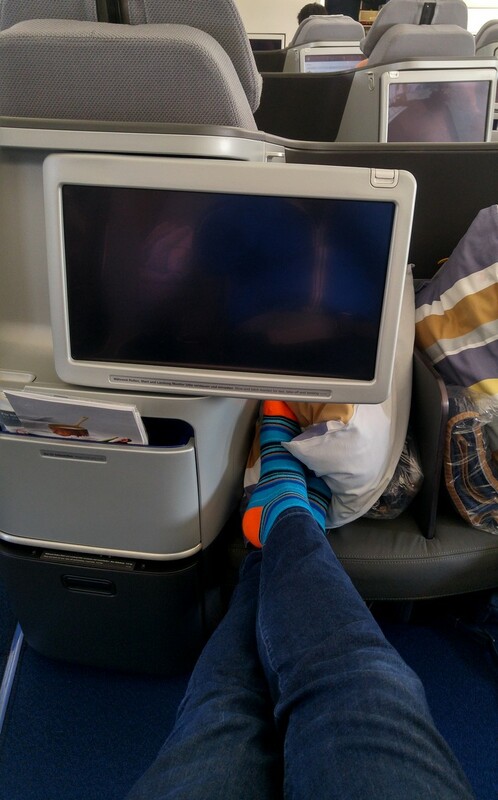 We finally sat in Business Class on a long haul flight across the Atlantic Ocean! We’ve been on over 300 flights in the past 10 years, but we had yet to experience the luxury of Business Class. That all changed on our recent trip to Portugal. “Was it worth it?” was a common question we received on our Facebook page. Well, the obvious answer is YES! But, without context, it’s a tough one to answer. 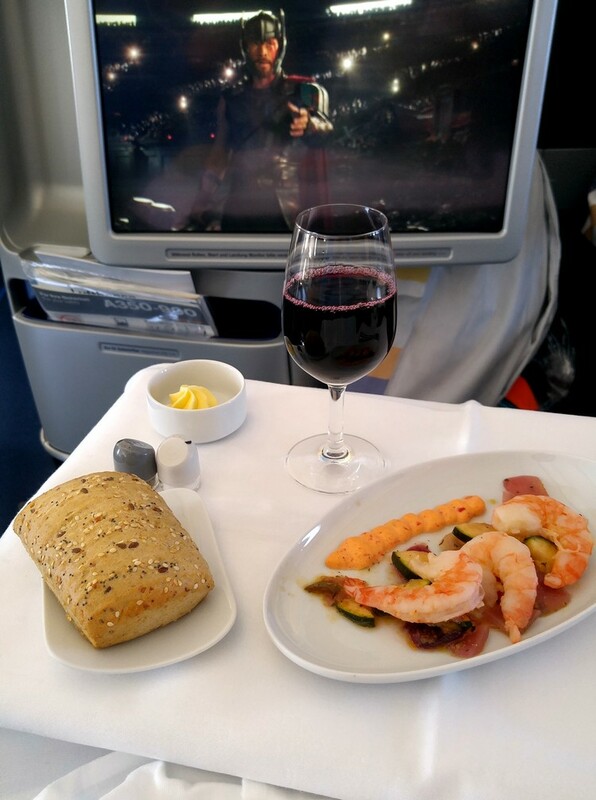 Let’s be clear – the Business Class experience is amazing. We are likely ruined for all future air travel. We now know what’s going on up there in Business Class – and we want more of it! Economy travel will never be the same. Why did it take so long for us to try Business Class? Like most people, the main reason we don’t travel Business Class is the price. A Business Class ticket for a long-haul flight is typically priced at $3,000+ per person. That would be $12,000 for our family of four. That’s just not going to happen. If we dropped that kind of coin on flights we’d only be able to travel once every few years. So, the real question is – do we travel less often, but with more luxury? Or more often, with less luxury? We LOVE the luxury of Business Class, but we’re still budget-conscious travelers at the core. In other words, we’re too cheap to make Business Class a habit. How did we make Business Class happen? As you can probably decipher from the cryptic title of this post, we redeemed our Aeroplan Miles to purchase these Business Class seats. We would not have been able to afford the tickets without using our miles. 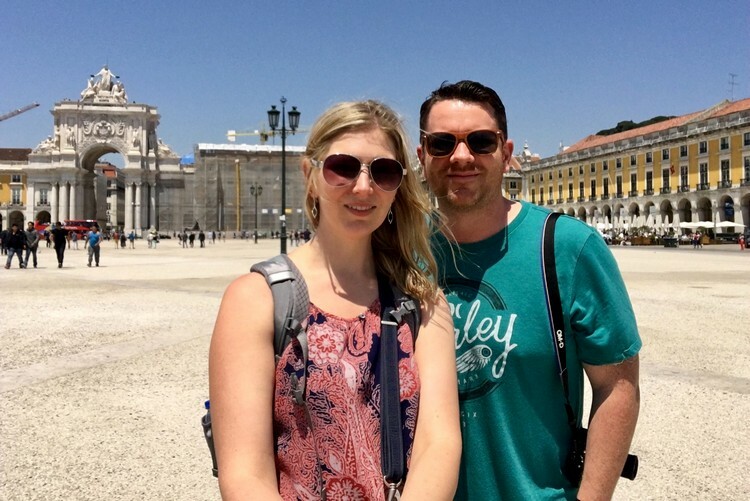 This trip to Portugal was to celebrate a big milestone, Cameron’s 40th birthday. Because of this, we wanted luxury and short travel times, and we were okay splurging a little. You only turn 40 years old once, right? This was also a kid free trip, the first since our second boy was born. That meant we only needed to purchase two tickets, not our usual four. That sparked the “What if …” conversation. We started to play around with flight options and quickly realized that paying for Business Class was off the table. We then experimented with one way tickets, instead of round-trip. The prices were still too rich for our family travel budget. We jumped on the Aeroplan app and started playing around with different flight options. 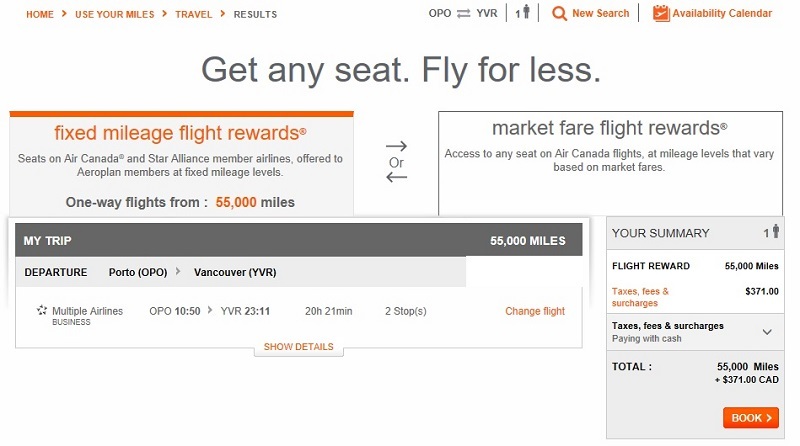 We could be flexible with our return flight times, so we searched for Business Class seats from Porto to Vancouver. We found a decent flight (there were very few options with less than two stops) for around $400 per person. That fit our budget nicely! We used a total of 110,000 Aeroplan Miles (55,000 each) and paid $900.00 CAD ($450.00 each) for Business Class tickets on Lufthansa. 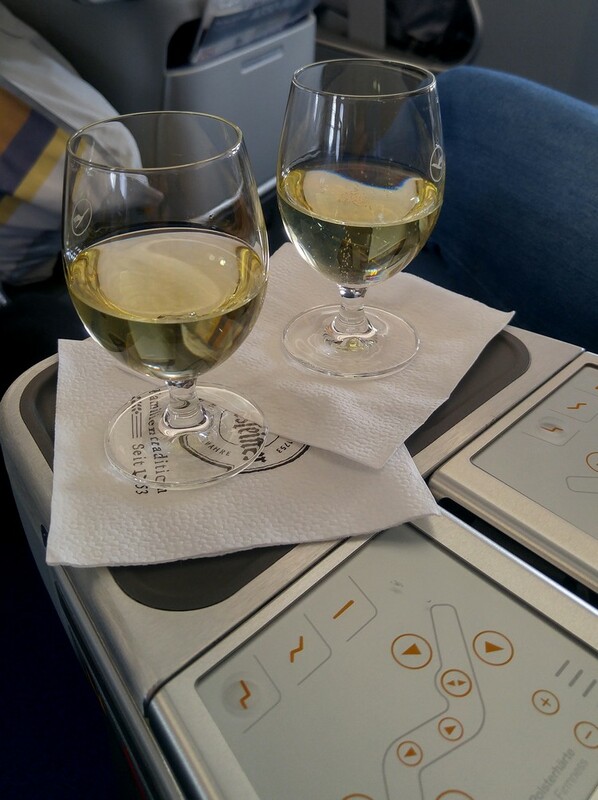 We flew from Porto, Portugal to Vancouver via Madrid and Munich – all business class. The total travel time was 22 hours. We had access to all of the airport lounges (Porto, Madrid and Munich), so we didn’t pay for food or drinks while in transit. That is something to consider when purchasing Business Class. We typically spend at least $100 dollars on food and beverages while on a layover. 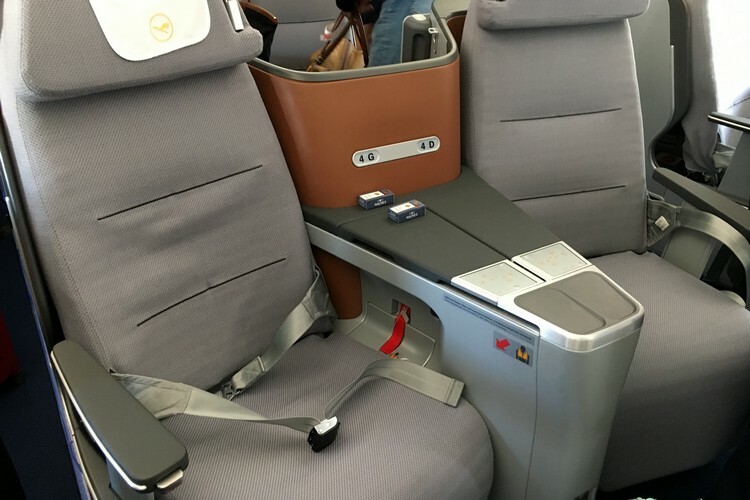 Another way to redeem your Aeroplan Miles to fly Business Class is to upgrade a ticket you’ve already purchased. Basically, you purchase an Economy ticket and use your Aeroplan Miles to upgrade to Business Class. Something to note – you need to book in the right seating class. For example, if you book through Air Canada, you need to purchase a ticket in classes Y, B, or O. You can check the classes needed for Star Alliance flights here. 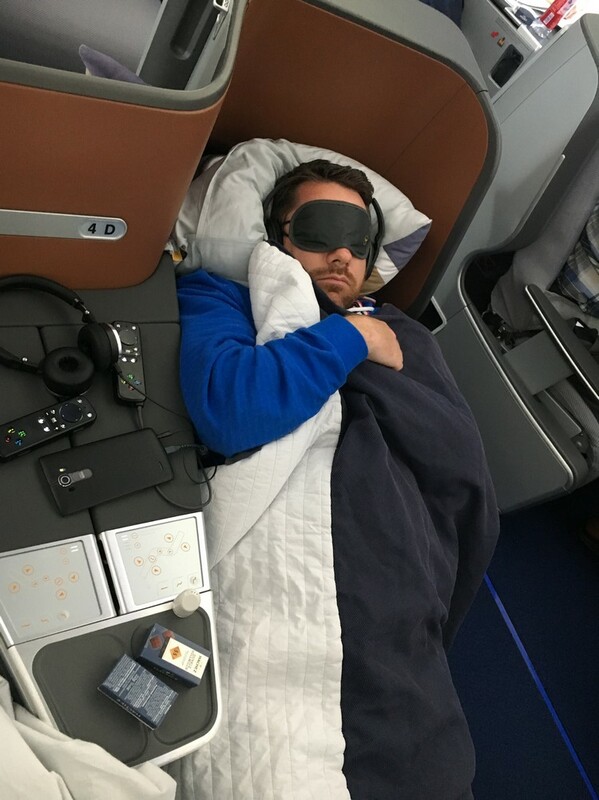 How was the Business Class experience? The above photo does a good job capturing the experience. White linen, big television screen, glass of wine and delicious food, lots of leg room. It was so nice. We entered the aircraft from a separate door at the front of the plane, so we avoided the on-boarding chaos that tends to happen in economy. We were served a glass of sparkling wine after we were settled into our seats. The seats reminded us of dentist chairs – there are so many ways to customize the fit. The service on the Lufthansa flight was great. We had endless movies to watch and the drinks and food kept coming. Everything was hand delivered, so we didn’t have to move. It was so nice to not have to worry about getting our legs and elbows hit by the drink cart. In fact, I believe this was the first flight where we didn’t have anyone bump into us on the flight. Above – welcome glass of sparkling wine. Look at the seat control panel. These chairs are awesome. Above – Lots of leg room and a big screen to watch movies. The seats convert into a bed, so we were able to stretch out and catch a few hours of sleep. Notice the big fluffy pillows and adult sized blankets. We were provided a welcome kit that included comfy socks, an eye mask, ear plugs, toothbrush and tooth paste. We ended up sleeping for 5 hours on the flight. We disembarked the plane feeling refreshed and ready to take on the day. The 10 hour flight felt like 3 hours. Heck ya! I actually don’t think we have a choice. How can we go back to Economy knowing how great Business Class is? However, like most things in life, the price will need to fit the budget. We likely would not travel Business Class with our boys. We don’t see the value. Yes, it would be an amazing experience, but we’d blow our entire travel budget on the airfare. If you’ve been saving your Aeroplan Miles for a rainy day, why not use them to upgrade to Business Class. We’re quite confident you’ll be happy you did. Consider yourself warned. Business Class will ruin you for future Economy travel! Disclosure – Aeroplan is one of our travel partners, however expressed opinions are entirely our own. We are long-time supporters and users of the Aeroplan rewards program. 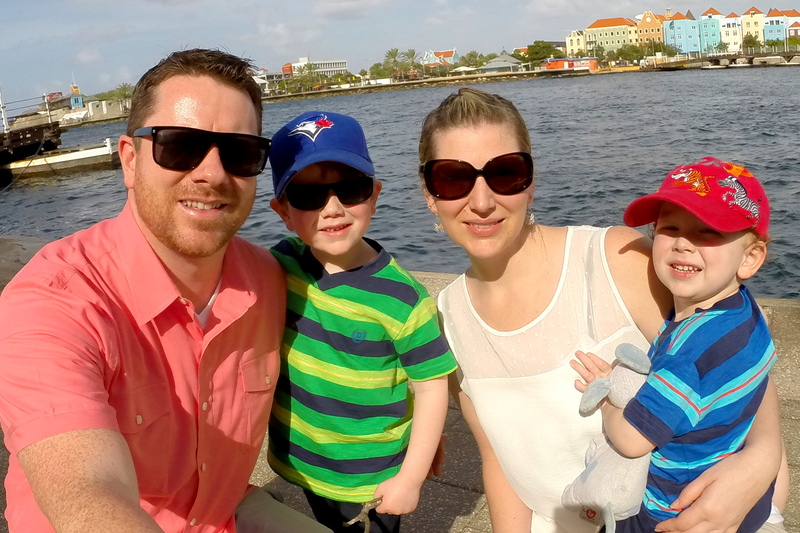 3 New ways to earn Aeroplan Miles easily Holiday gift ideas for the traveling family (or you!) 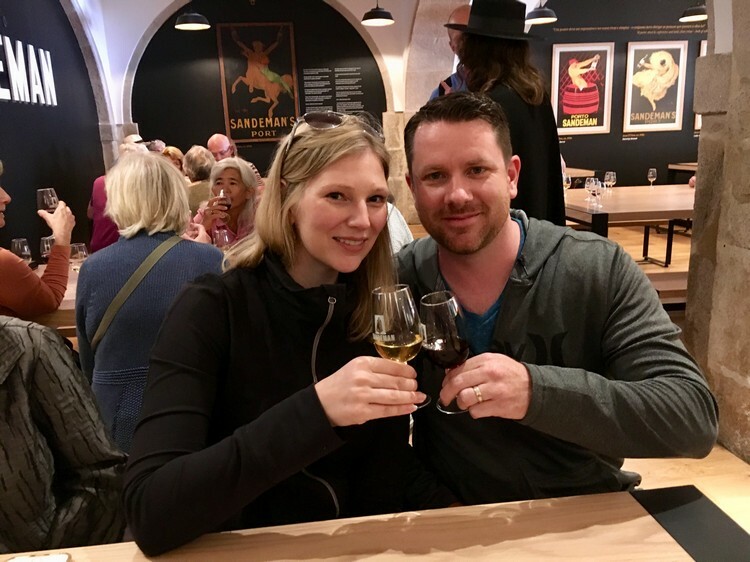 Here’s what we did on our Portugal River Cruise with Viking Thinking about a European River Cruise? Here’s what you need to know. That is one fantastic looking plane ride!